Our mission is to educate , empower and inspire individuals to live their best lives! Sacred Mountain Yoga was created with the intent of making yoga practices accessible and available for people with limited mobility, injuries and working through various health issues. We provide various Group yoga classes, private Yoga Therapy, Corporate Wellness programs, Chair Yoga for seniors, Workshops, and seminars around the GTA and online. We provide simple and accessible yoga practices to improve health, reduce suffering and empower individuals to improve the quality of their lives. Classes are taught with appropriate modifications and vary in level and intensity based on the participants' needs . ​and emotional aspects to improve overall health. It has been used for over 5000 years as a tradition of healing and is now used in the Western world as a holistic approach to health. Yoga is a broad term for many tools, including physical postures, breathing techniques, meditation, philosophy, visualization and chanting. ​​ ​Practicing yoga regularly promotes mental clarity, strength, endurance and flexibility while facilitating characteristics of friendliness, compassion, greater self-control and well-being. act and feel on a daily basis. The truth is most people are not content with some parts, or even several parts, of their lives. Some common experiences include feeling burdened with physical aches and pains, feeling stressed and overwhelmed with mental health issues, problems with relationships, feeling unable to cope well with the constant changes and growing complexities of life. There are several combinations of factors that can lead to a poor quality of life. At Sacred Mountain Yoga we strongly believe that by reducing everyday stress, improving self awareness and becoming resilient one can learn to live well, despite their current circumstances. As the saying goes, you can’t always control what goes on outside but you can control what goes on inside. It simply starts with breathing and moving. ​Contact us today to learn how yoga can benefit you! ​Her journey with yoga started after a traumatic car accident that left her in chronic pain. She started practicing out of desperation to relieve the pain she was in. For her, yoga worked better than anything else had before. Natalie has spent most of her life dealing with major depression, chronic pain, anxiety, body dysmorphia, and living in a family with Huntington's Disease. Yoga has helped rebuild her life. 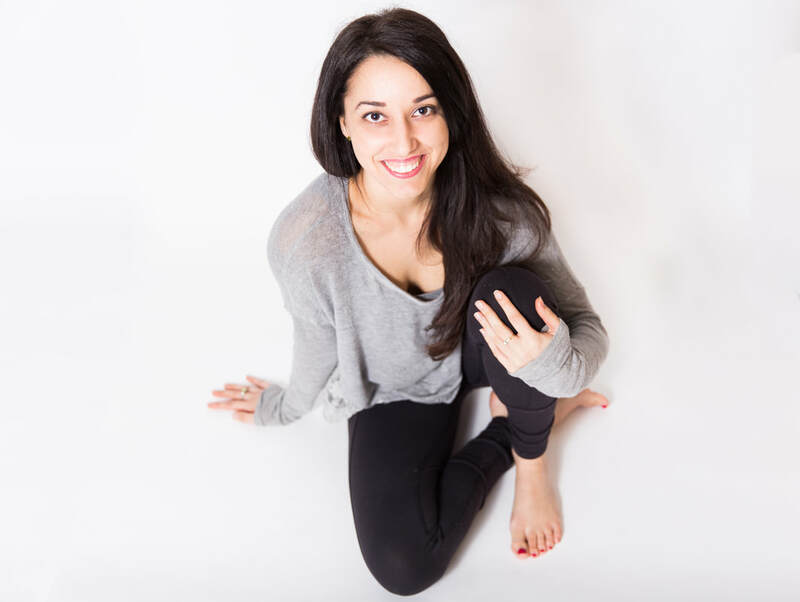 Natalie's experiences give her a unique approach to teaching yoga and she's very passionate about helping others improve the quality of their lives. As a person who has managed to improve depression, trauma and ​chronic pain, she truly believes that even in dark times there is still hope for a better future. ​Dennis discovered yoga when he began exploring holistic methods of coping with anxiety and stress. Coming from a corporate background, he wanted to learn how he could manage and reduce stress for himself and the people around him. Dennis’ mission is to provide effective tools and methods through yoga to directly address the source of stress, and improve negative outlook on life. Understanding that stress can even be a barrier to an individual’s own healing, Dennis aims to lead classes that are accessible to anyone and everyone, regardless of their circumstance.